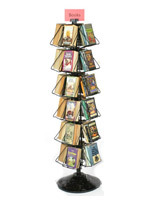 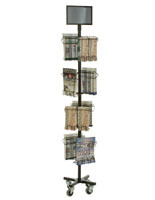 These wire racks for literature are made of strong metal and have 16-32 full view pockets. 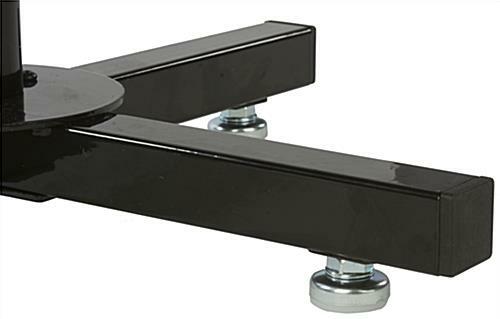 The brochure stands also feature (4) 3" caster wheels, (2) of which can lock to remain stable. 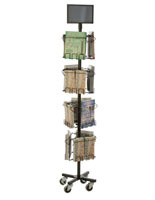 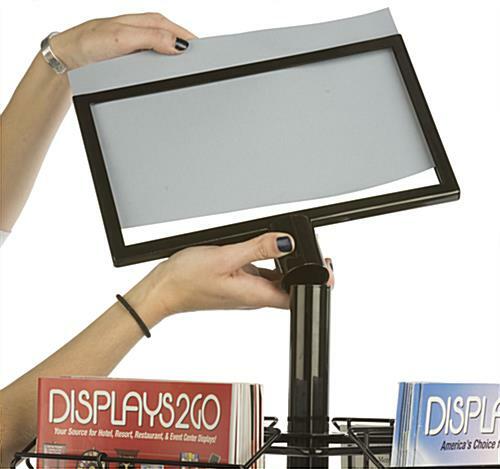 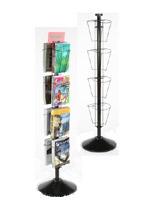 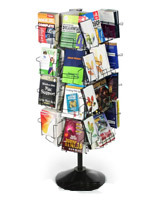 The wire racks are ideal for displaying reading materials in any public or retail environment with their ability to adjust their (16) 8.5" x 11" pockets to (32) for 4" x 9" leaflets. 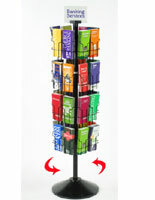 Each holder also offers a 11" x 17" header for custom signage that can be removed. 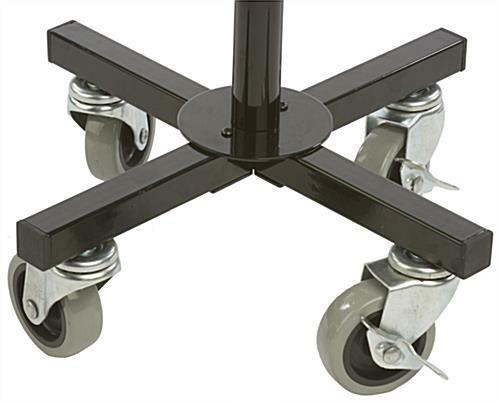 The retail racks are easy to move and store with their casters and collapsible design. 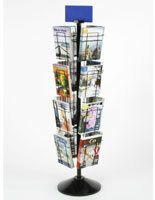 The brochure stands' (4) tiers can rotate individually to accommodate any customer.